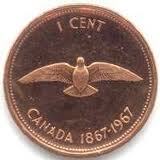 I was rummaging around in a drawer and found three pennies wrapped in a scrap piece of paper. Being inquisitive I took a closer look. Indeed, they were “special Pennies.” That is to say they were from 1967. Now I know what you’re thinking. Actually, that isn’t true. I have no idea what you’re thinking. Probably some of you are wondering about the value of the coins. Some of you are sure that the coins are worthless. And some of you are laughing because you know where this blog is going. All across this sometimes snowy nation (and I suppose other nations as well) you can find these supposedly special coins tucked away in drawers, boxes, coffee cans and wherever else they can be put. We collect, or perhaps horde is a better word, these coins because someone told us once that they were valuable, or would be valuable. Maybe we came to that conclusion by ourselves. However it came about, whenever we find these coins in our change it is like we won the mini lottery, and these coins get rescued from our pockets and change purses to live amongst their own kind. 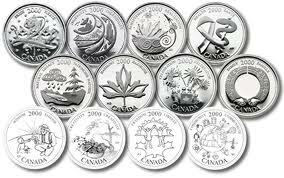 In Canada, the mint has capitalized on our tendency to amass these special coins and releases them with annoying frequency. I guess there are tin cans, and jars all over the country calling themselves home to these new collections. For some of you collecting as a hobby is nothing new. For those that thought they were not taking part in a hobby, guess what? You are taking part in a hobby, you just didn’t know it. I should point out to my fellow Canadians that there is one more wrinkle to this inadvertent collecting that we all participate in. 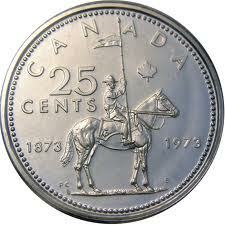 While you’re looking for those special pennies, you will probably come across your collection of Canadian Tire money.